An army of jellyfish has arrived at the Danish coastline near Vraget Beach and Sandobberne in Odsherred due to an onslaught of offshore winds. 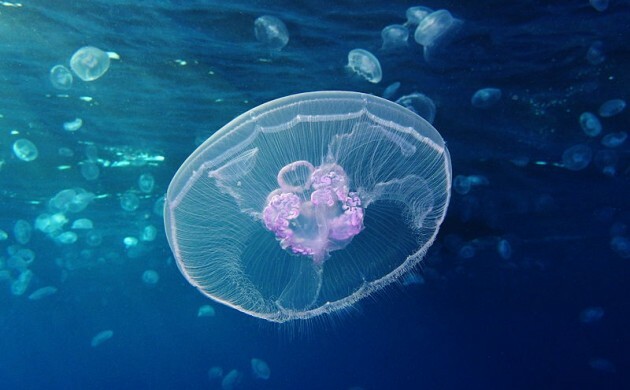 “Offshore winds have pushed the surface water away, and with the deeper water comes the dreaded jellyfish,” Helle Kjær Laigaard, the nature and marine biologist at Holbaek and Odsherred Nature Park, told TV2. But according to the Laigaard, it is not only regular jellyfish that will grace our shores this summer. Brandmand (also known as red firefighter jellyfish) will also make an entrance along the coast in larger numbers than usual. “We sail out in the fjord everyday and we see a lot of brandmand. We have also seen some small brandmand along the shores,” said Laigaard.